His presentations are genuinely informative and entertaining because he is passionate about marketing and branding in new media channels. 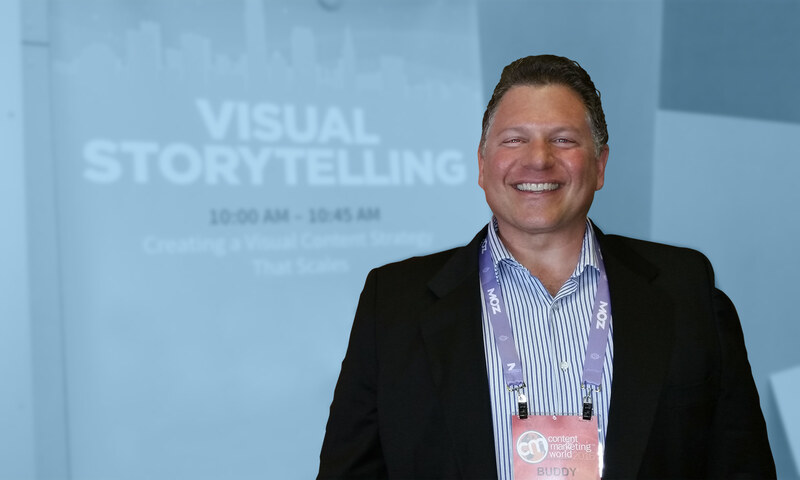 He has taught workshops, moderated panels, and hosted interviews at conferences. He was an early adopter of social media and speaks about building online communities and nurturing user-generated content for branded websites. 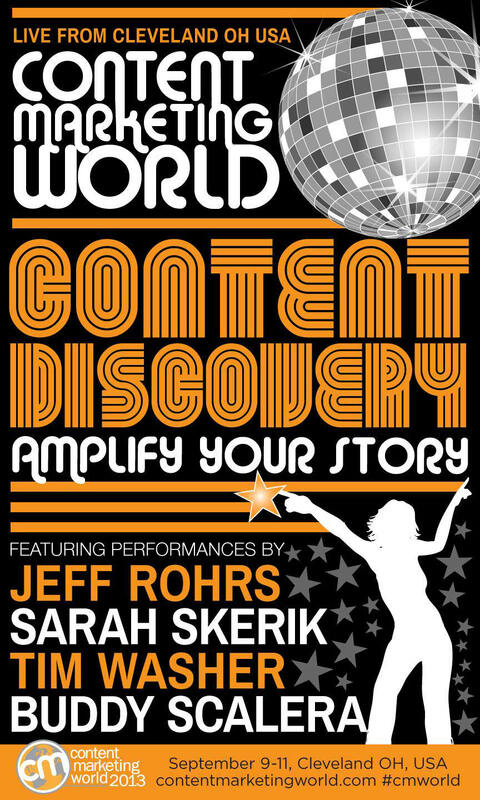 Content Marketing World 2013 promo poster featuring Buddy Scalera, Tim Washer, Sarah Skerik, & Jeff Rohrs. Design by Joe Kalinowski. 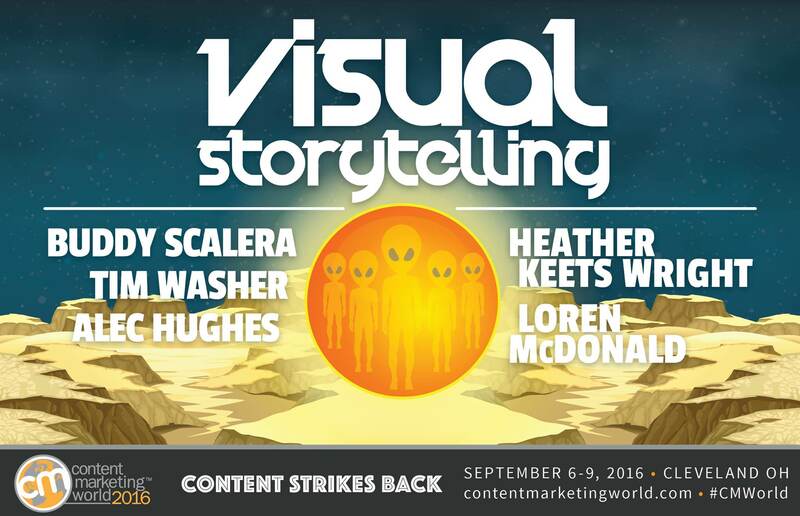 Content Marketing World 2016 promo poster featuring Buddy Scalera, Tim Washer, Alec Hughes, Heather Keets Wright, & Loren McDonald. Design by Joe Kalinowski. Buddy also teaches “digital immersion” classes to pharmaceutical brand managers, who get hands-on experience with new media tools. It’s a truly interactive way to learn about social media and emerging digital channels, tailored to the specific needs of pharmaceutical professionals. And it’s a lot of fun. Interested in booking Buddy for an event? Sure you are! Contact him.